It’s so interesting to ponder how the Grateful Dead, despite being self-described poster children for avoiding politics and activism and concentrating on music, really aren’t that. From the beginning all members of the Dead were rooted in San Francisco’s scene and are an iconic representation of so many different facets of a humanitarian persuasion. Though they generally at their live shows kept a “no politics- strictly playing” ethos, there came a time where the bus had to pick up some charitable definition. After all, Garcia, Lesh, Weir, Kreutzmann, Hart, and all the others were in a way the essence of charity and sacrifice; they gave their life to a certain cosmic form of entertainment that ultimately pleased people all over the world. That’s why in the winter of 1983, the boys finally started their own charity organization called Rex Foundation. It’s purpose? To raise funds and aide to whatever the organization felt was important and needed financial stimulation. The first benefit was in 1984 for Wavy Gravy’s Camp Winnarainbow, a circus and performing arts camp for all ages. In 1986 when UC Berkeley’s school of Jazz was in danger of getting cut Phil Lesh stepped up as an alumni and Rex saved the program. Rex stimulated my hometown of Boulder, Colorado in 1993 when Naropa Institute, at the time the Nation’s only accredited Buddist-inspired University, received a grant. The organization is named after beloved Grateful Dead road manager Donald Rex Jackson who was killed in a car accident in 1976. This was his tribute. The organization itself is non-profit so naturally it needs funding to continue operating. It used to be funded by Grateful Dead show runs, mostly West Coast based. Since, it’s relied on a bit more interactive performing by alumni of the Grateful Dead and other family. On December 3rd, 2011, Rex held a charity event at San Francisco’s own Fillmore Auditorium. A reopened tribute to the original Fillmore West and Fillmore Auditorium’s historic venue, it was a fitting venue for a Rex Foundation benefit. Nugs.net, a well respected and established Internet platform for recordings in the live music community (much of which is free of charge to download), is releasing a compilation recording from that night last December, which was dubbed: Run for the Roses- Celebrating The Music of Jerry Garcia & The Jerry Garcia Band. The show featured three specially assembled ensemble groups just for the event, all of which are respected and established Dead Family. The show is now available for download or to purchase the discs off of nugs.net. Having not attended the benefit but listened over the discs a number of times, it seems as if the music was generally successful and that everybody had a good time. The first of the three super-groups to open the benefit was Tim Bluhm and Greg Loiacono of California’s own The Mother Hips. Accompanied by Bluhm’s wife Nicki with Dan Eisenberg and strangely enough long-time Frank Zappa band bassist Scott Thunes (who is just freshly back in the live music game after a long hiatus). The band performed acoustic and all Hunter/Garcia tunes. “Bird Song”, “Tennessee Jed”, “Brown-Eyed Women”, and “Brokedown Palace.” Honestly this lineup sounded a little too polished for my tastes. Fans of folksier singer/songwriter styling will appreciate this lineup more than I. With all due respect for the talent toted in this group, I felt as if it lacked the grizzled edge that both Hunter’s words and Garcia’s vocal intent originated. However their voices are beautiful and the set seemed warmly welcomed by the crowd. It served as a good opening act, and was a pleasure to listen to. The second act was truly the headliner of the evening. 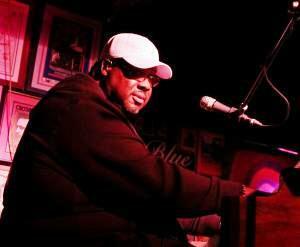 Melvin Seals, Garcia’s long time partner in crime, an organ and piano legend with a heart of gold. He is truly the heartbeat of the Garcia Band that he has continued on past Jerry’s death in 1995. 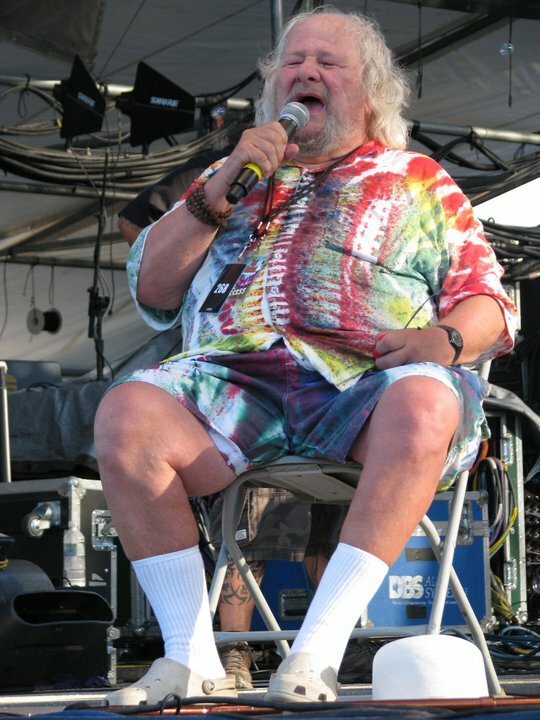 He was accompanied by John Kadlecik, lead guitar of Furthur and formerly of Dark Star Orchestra, as well as Greg Anton, former drummer of Zero and so many others, Sunshine Garcia Becker, and bassist Mike Sugar sitting in for Robin Sylvester who is ill as of late. The band gelled together well. The set opens fittingly with “Run for the Roses”. 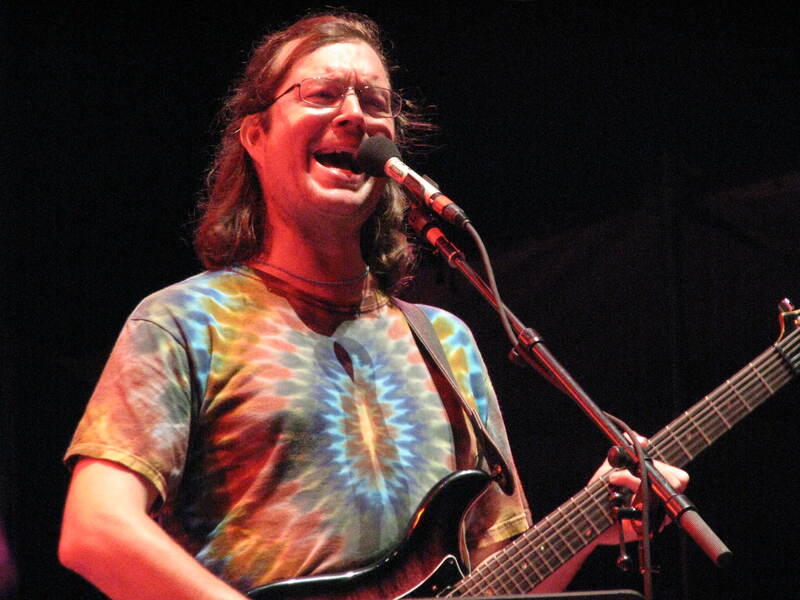 Next, an original Kadlecik/Anton/Hunter number called “Givin’ Me The Business.” The first new tune truly fit the vein of Garcia’s style and was well received. Next came “Mission in the Rain”, a legendary Jerry ballad giving Seals and Kadlecik a chance to display their talents. Next comes a closely mimicked version of “Alabama Getaway”. They nailed it. Another original of the same trio listed above came with “American Spring”. It sounds hauntingly similar musically to Garcia’s cover of “When The Hunter Get’s Captured by the Game”. Thematically it touches on the American Dream telling a story of a wandering transient. Very Hunter. “That’s What Love Will Make You Do” has become a true favorite of Melvin Seals. It shows through in his truly soulful rendition of the tune. To close the set they chose “Tangled Up In Blue”, Dylan’s classic upbeat look into the uncertain future off the Blood on the Tracks album. Garcia’s classic band used this as a set-closer that launched possibilities of heavy jamming. This tribute did the band’s classic rendition justice and gave all the players a chance to really work it out. The headliner band was generally successful as said before. 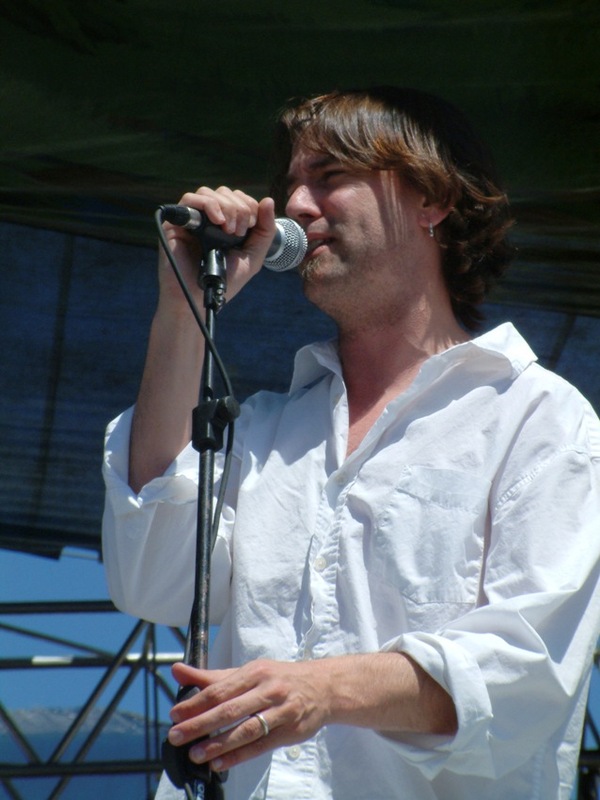 Kadlecik is considered by some as less of a Garcia impersonator and more as a channel. Though he rose to the attention of Dead family through playing in a cover band, we all know that covering the Dead is not the same as being in a Dylan or a Stones tribute. Kadlecik lives the Dead. That’s why Lesh and Weir chose him to play lead guitar in their main band for the past three years. In my mind at moments he verges on coming off a tad pretentious, however in this performance he came through as sincere and a good collaborator. Seals is always a special treat and makes this release well worth the bucks for the download. The third band was a special treat. A rendition of Matt Butler’s Everyone Orchestra. For those who are not familiar, the Everyone Orchestra will pop up all over the country at “jam-band” festivals. Conducted by Butler originally a percussionist from the band, Jambay, it always features rotating musicians who have previously performed at the given event, plus special surprise guests. The jam this time apparently consisted off all the previous performers from the Garcia Tribute in addition to John Morgan Kimock (the drummer son of legendary guitarist Steve Kimock), Railroad Earth’s Tim Carbone, and Katy Gaughan. The set consists of four released tracks. First track entitled “Rex Jam”. Next the Hunter/Garcia classic rave-up “Deal”, then a Matt Butler conducted “Jam” followed by the traditional spiritual “My Sisters & Brothers” a staple song of the Garcia Band. The jam segments are surprisingly well orchestrated and un-crowded. Every musician is truly listening to one and other. It really is a pleasure to listen to, in the background or forefront. Tons of talent all in forty-five minute set. Carbone’s eclectic fiddle jamming, Melvin Seals fiery organ licks, and Kimock’s showy drumming style stick out in this all-star rave up. If you are a fan of Jerry Garcia Band, which contains so many different intersections and genres, this is a worthy addition to the collection. The bulk of the quality material is in the Kadlecik/Seals/Anton lineup and moments of the Rex Jam. Every lineup from that evening had shining moments. Tons of different vocalists and personalities keep the listen through varied and interesting. Do yourself a favor and consider this fantastic release for sale. You’re not supporting Rhino Records conglomerate or sending Bob Weir’s daughters to private school. All proceeds go to Rex Foundation and inevitably a good cause. So what are you waiting for? As to the performers, cheers on a successful tribute to father Garcia, who forever will be in our hearts and remains the essence of the good vibes.